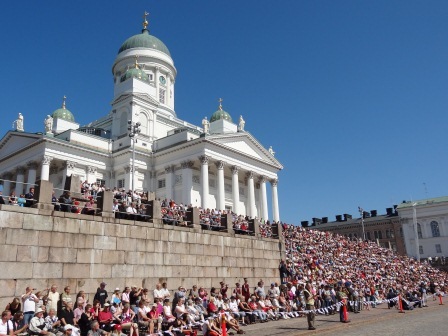 So Florian and I were wandering around Helsinki on our honeymoon looking for an ATM when we saw a ton of people sitting and lining up around the big city public square. 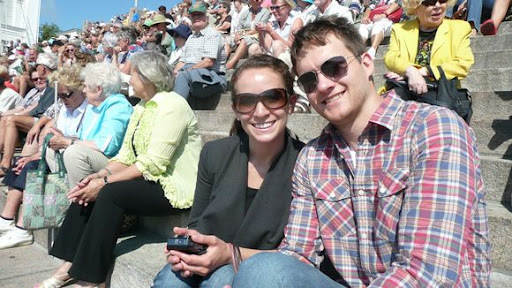 We decided what the heck and just sat down in the crowd and decided to wait and see what the big to-do was. 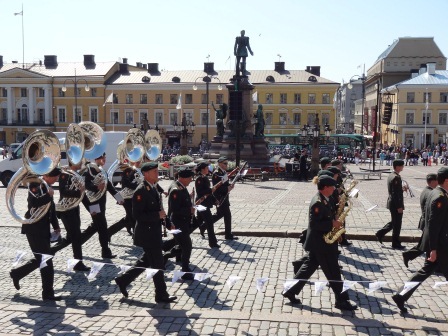 Turned out to be an awesome military marching band parade with bands from Finland and other countries like Latvia. It was a really cool show and all the bands were amazing. 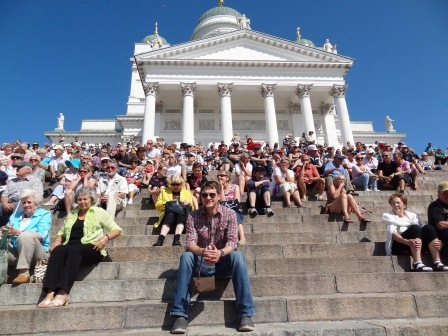 But the funny part is that Flo and I hadn’t sat down for more than 5 minutes when a random woman came up, speaking Finnish, and using a point-and-shoot to snap our picture. O-K. So it turns out she was a legit reporter (despite using a camera that was anything but legit) and she wanted to feature us in her article! Let me give you some context – there were thousands of people there. Here’s a picture of one of the four sides surrounding the parade. THOUSANDS. Here’s one of the videos we took so you can feel the excitement of the crowd and the amazingness of the band!